After a long, snowy Colorado winter, all of us at Design Studio Interior Solutions eager to grab a cocktail and embrace patio season. Bright, sunny Boulder days are the perfect excuse to step outside, while cool starry nights are the ideal backdrop for romantic evening dinners or family BBQ’s. If your summer plans include an outdoor space that is as fabulous and colorful as a beautiful Colorado summer, you’re in luck. That dream space may be just a few designer touches away! Keep reading for three tips to make your patio patio-perfect. First things first: New patio furniture is an excellent place to kick off your outdoor redesign project, and we have the perfect resource: Summer Classics From traditional wicker and wood to contemporary aluminum, these pieces offer serious patio style. Whether your summer lounge preference is evening cocktails or weekend brunch, set the tone with high-quality furniture that you want to spend time in. Tip: Create your ideal summer oasis with the help of carefully selected patio furniture, perfectly suited to your family’s lifestyle and needs. 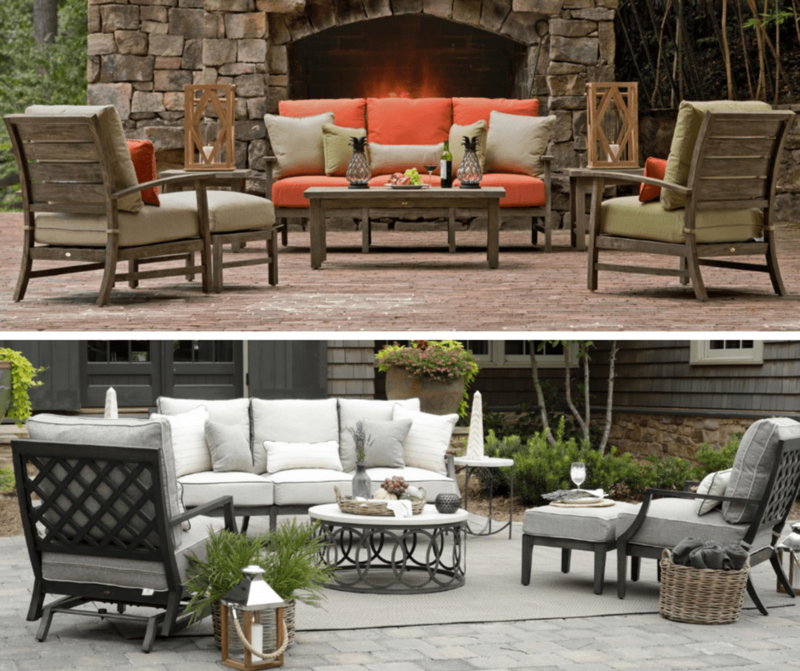 The evolution of your outdoor space is as easy as switching up the upholstery on your patio furniture or pillows. This season, take your patio to the next level with outdoor fabrics by Brentano, our go-to solution for any space needing a pop of color, a bold pattern, or both. Their fabrics are chic, durable, and designed to withstand the bright Colorado sunshine. Brentano’s outdoor fabrics resist UV disintegration, color fading, and even humidity. Because of this, they are also resistant to the growth of bacteria and fungi, leaving them cleaner for longer. Plus, the gorgeous selection of colors and elegant patterns will make your patio the envy of the neighborhood! Tip: If you don’t have the budget for new furniture, breathe new life into old pieces by recovering the cushions in bold patterns or colors. Voila! A fresh take on your patio. 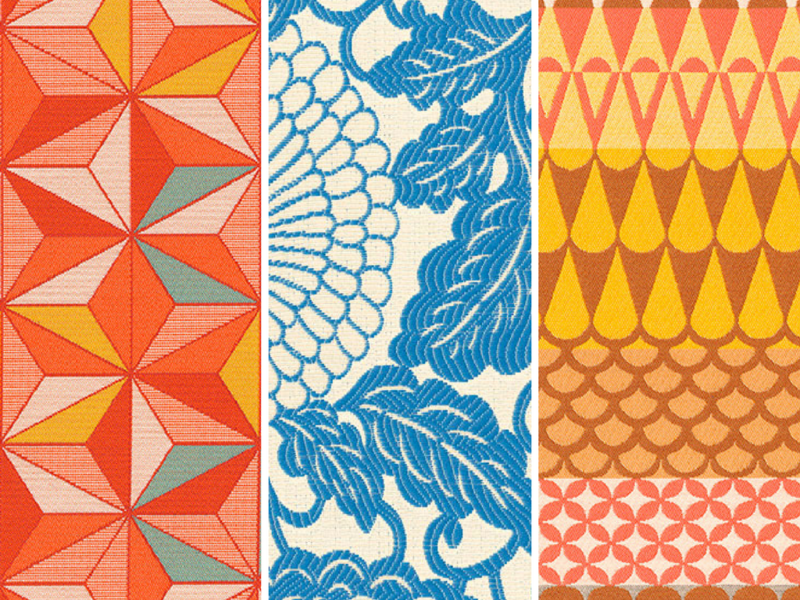 Accessorizing doesn’t stop at fun fabrics. This season, create a moody, beachy vibe with chic lanterns by NorthCape. When it comes to outdoor spaces, ambiance and comfort are key. 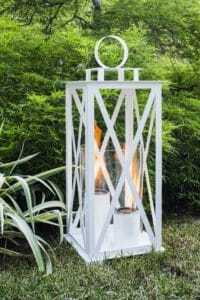 NorthCape brings both with their new “Fire” collection—an assortment of tabletop and free-standing lanterns in a variety of styles and finishes. Stay up all night watching the stars under the soft glow of your personal fireshow. Tip: Lighting is everything when it comes to outdoor living. Turn off your other fixtures, and create a more romantic atmosphere with good ol’ fashioned fire. Your outdoor space is your Colorado summer oasis. It should be an extension of your personality, your style and how you live. If you’re interested in learning more about Design Studio’s outdoor furniture, fabric, and lighting offerings, call us today or visit our 4,000 square foot design center in Niwot—just a 12 minute drive from Boulder. Ask us about our free consultation services, and take the first step toward a sweet summer space today.